It is with deep regret I announce the season comes to an end this Saturday. It means no more cheering on the teams from the side lines, no more encouragement from the coaches, no more of the beautiful game. I hope that everyone has some great memories from the season to last them until 2019. As with every year, I want to send out a heartfelt thank you to all our club volunteers which include but not limited to the spectacular Majura Committee, the wonderful Age Group Coordinators, the enthusiastic team Coaches, the super team Managers and to all those other wonderful volunteers (you know who you are), that just give up some of their time on Saturdays to helping out around the club. I want to call out the club Game Leaders and Referees who did a marvellous job this year. I want to thank all the parents, carers and friends who braved the cold winter days to bring the players to the games and cheer them on from the sidelines. I want to say thank you to the Parkins. Rhonda Parkin who runs the best canteen out of all the ACT football clubs and Bob Parkin who arrives well before sunrise every Saturday of the season to start set up and who shares my keen interest in kangaroos and morning walks around the playing fields. Lastly, I want to thank all the players who have played so well, and I hope are very proud of their club and to wear the playing strip with the Majura FC crest. This is also my last season as your President. It has been my pleasure and a personal honour to serve you and lead the club over the last three seasons. This club, its culture and its spirit are second to none. It is a community and a family club and to be a part of the club’s leadership history and moving it forward, has been a personally rewarding experience. For my final presidential decree, I will ask that if you see a club volunteer this weekend, please say thank you to them, as this club was built on volunteer blood, sweat and tears and I urge anyone that has the time, to put up your hand and consider volunteering in season 2019. I look forward to seeing you all next year at Majura Football Club, I won’t be President but I will be volunteering. The winner of the Junior Coach of the Year is Rainer Reuss and the joint winners of the Senior Coach of the Year are Anthony Hatton and Karl Webber. Congratulations to you all. Presentations for the U5/6 Miniroos to U9 teams will be held at the marquee in front of the clubhouse as per the time table below. 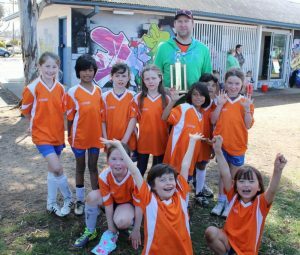 U5/6 Miniroos will have individual trophy presentations while the U/7 – U/9s will be team presentations. 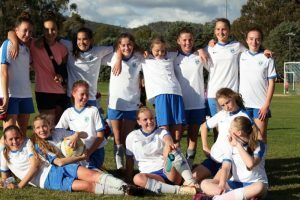 For the U/10 – U/18 and senior teams, we ask that the coach or manager come to the clubhouse and collect their trophies/medallions on Saturday morning from 9am as we know some teams will be travelling for away games. Majura FC photos are ready for collection at Majura clubhouse. To ensure collection of your orders, please make sure you have made payment. If you have yet to arrange payment please do so ASAP by emailing Kim Sinclair – we don’t want anyone to miss out on their photos. **This coming Saturday, Sept 8, is the last day to collect photos as it’s last day of season and the clubhouse will then close.